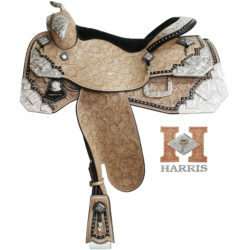 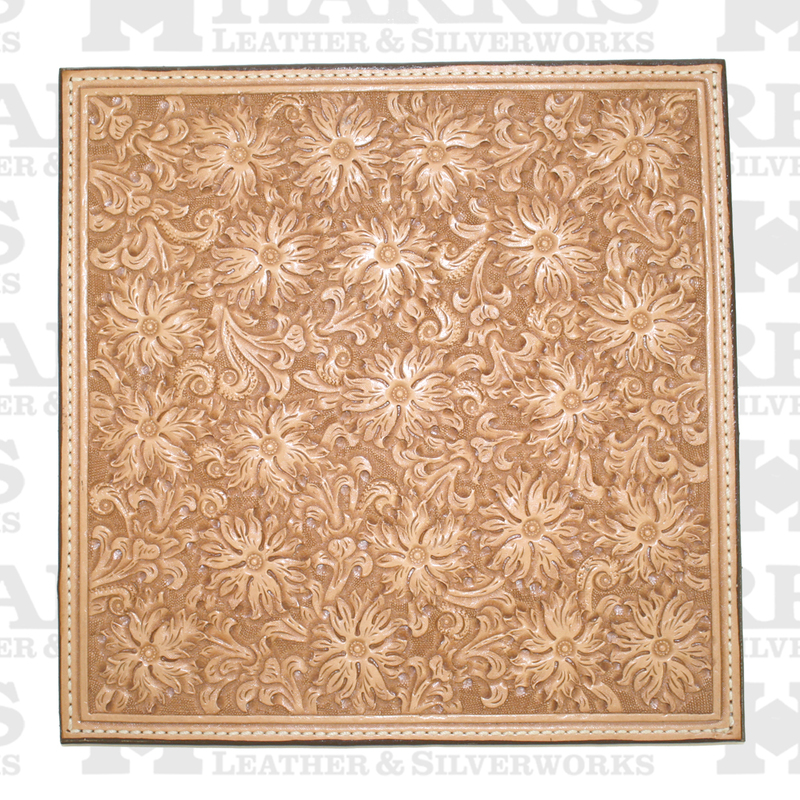 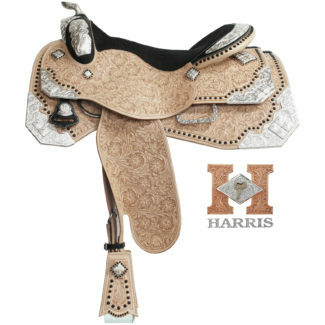 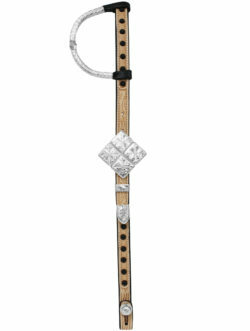 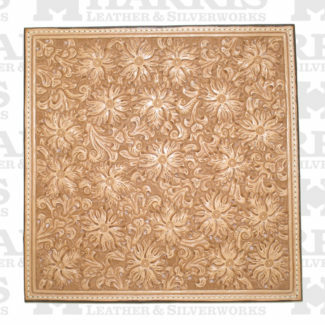 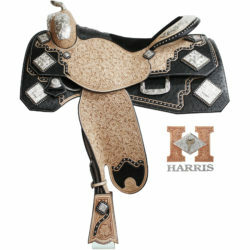 Saddle 201 is a very unique design that features natural hand-tooled leather, accented by lots of sterling silver and black studs along the skirt edges. 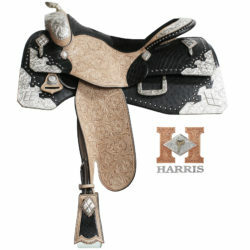 The two-tone look of this design is also brought to life with deep-grain genuine bison leather accents throughout. This saddle features a bison leather swell covering, bison cantlestrip leather, bison hangers, and a bison cantleback with silver Harris logo. 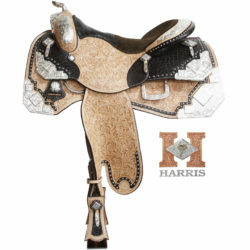 If you have questions regarding saddle 201, please contact (336)874-2100 or (336)874-2194.